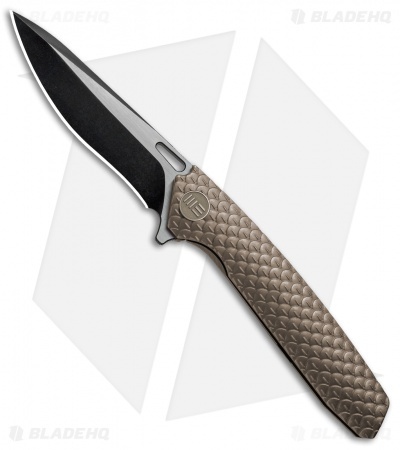 The We Knife Co. 604L offers a long elegant design with a sleek recurve blade in a two-tone finish. Black flats and satin finished grinds add to the tactical appeal of the blade. 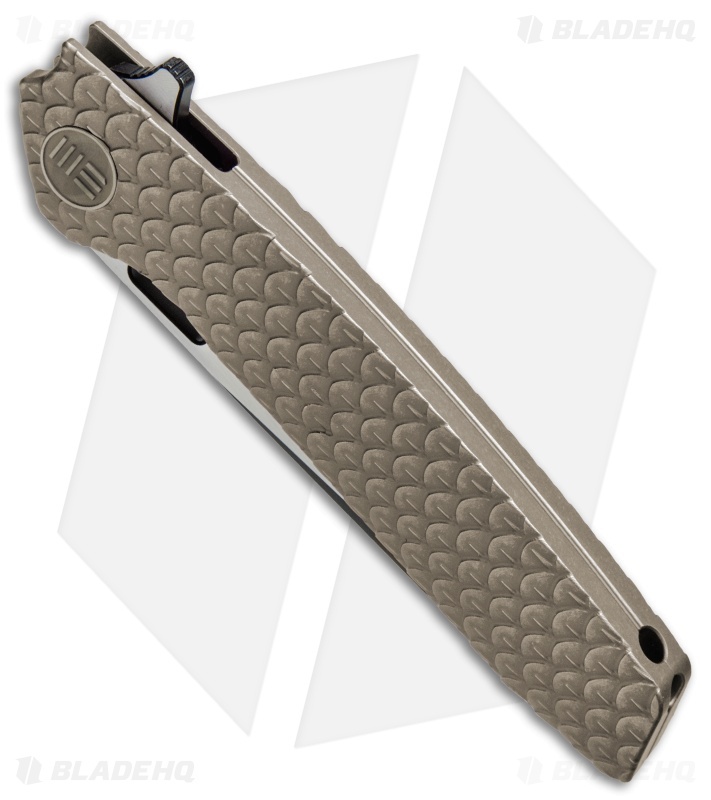 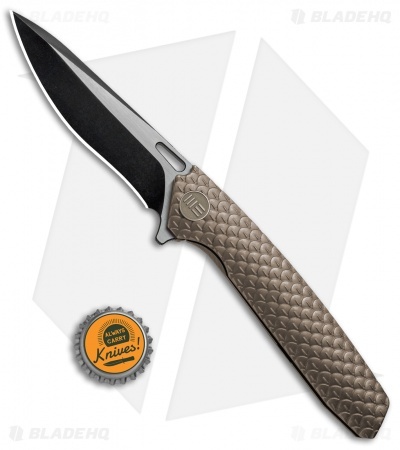 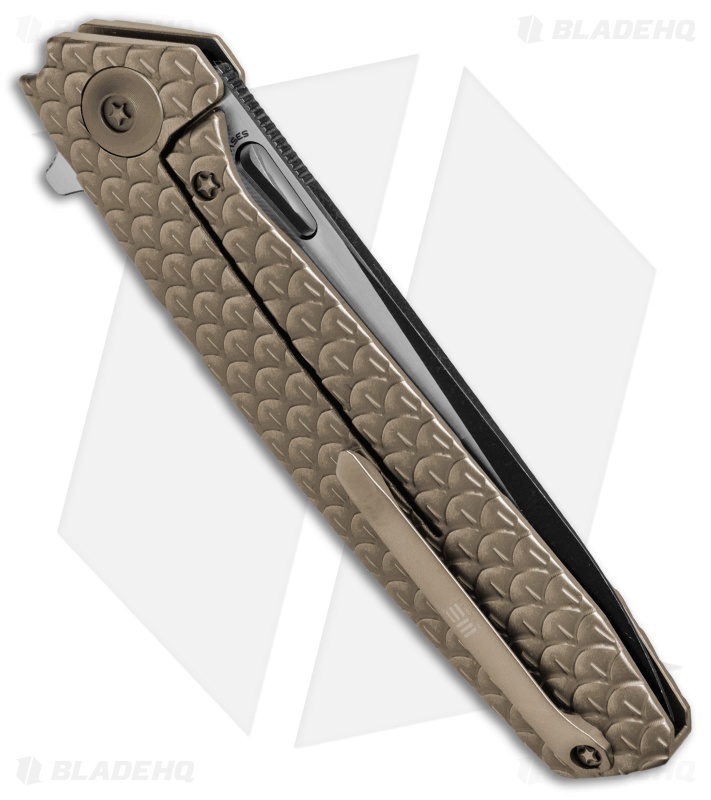 The bronze anodized titanium handle comes with a scaled texture that provides a utilitarian grip as well as a collectible custom appearance. A bronze anodized titanium clip and hardware finish off the stellar design. Titanium frame lock handle with reinforced steel insert offers undeniable black lock up.